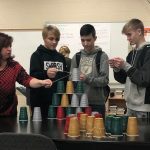 For Elyse VanZuiden’s 8th grade English Language Arts lab at Lynn Camp Middle this is more than an inspirational thought but an actual practice that is yielding results. 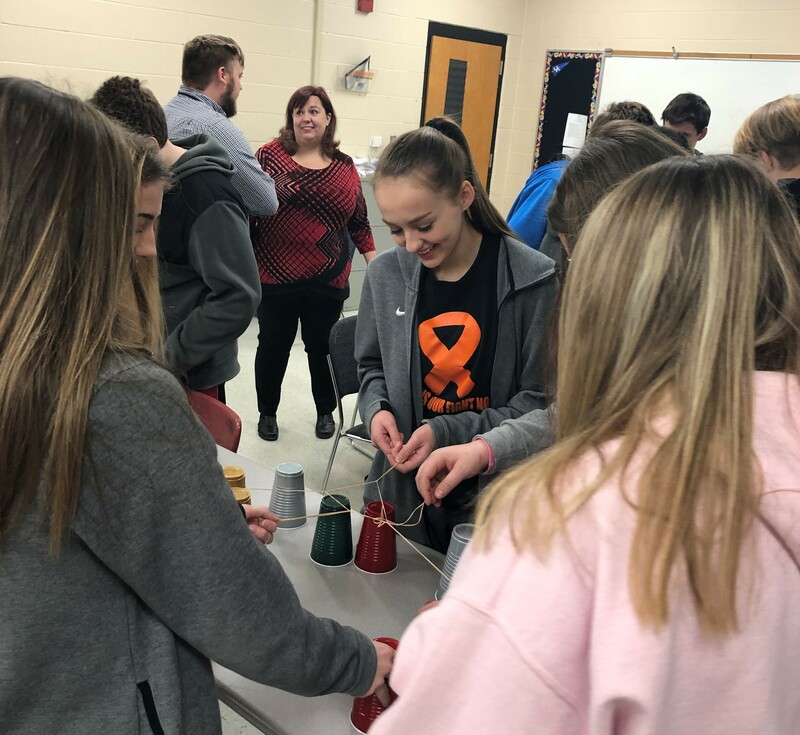 Students start each week with a weekly team building activity to see it takes us all to do our part to achieve great results. 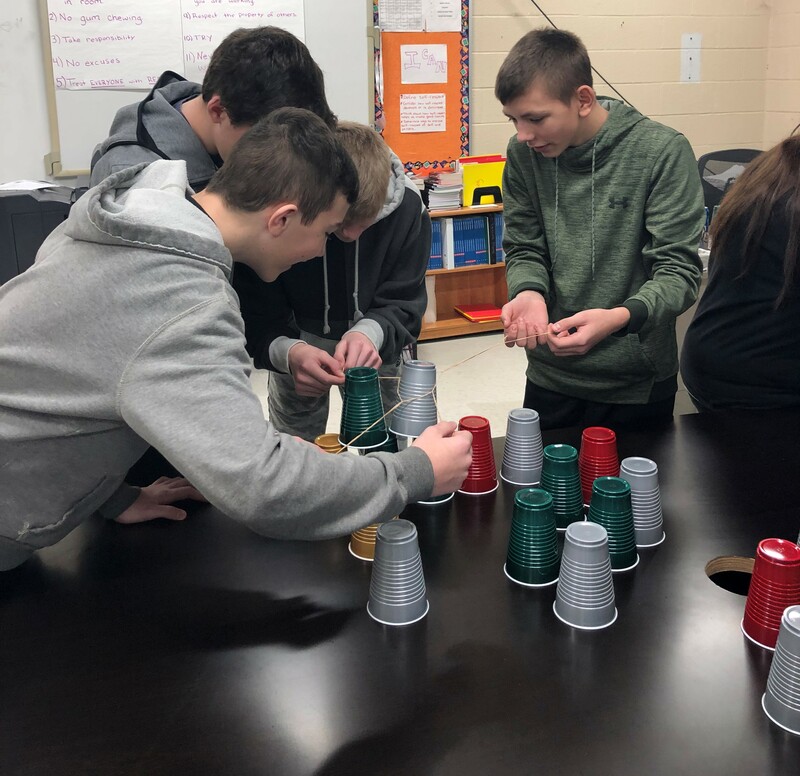 On Monday, February 11, students had to build a cup pyramid as a team without using their hands and only using rubber bands. 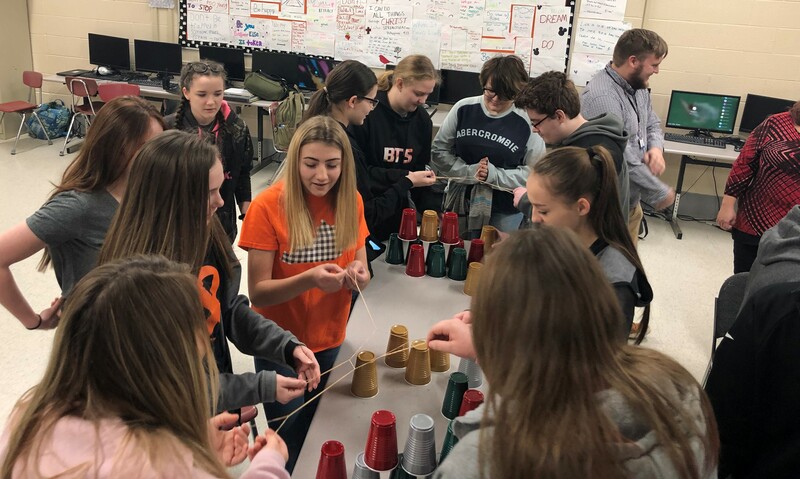 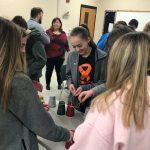 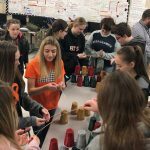 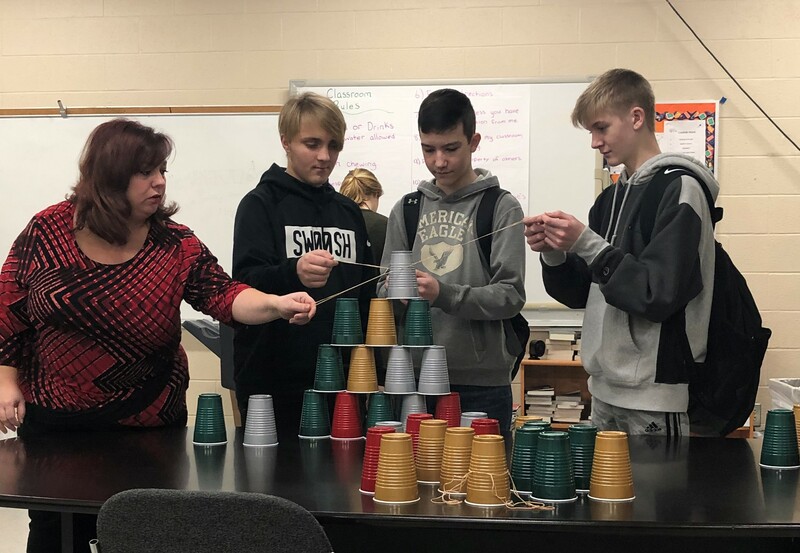 Even though cups would get knocked down or students found this challenging, it took a positive attitude and effort from all to accomplish the task. 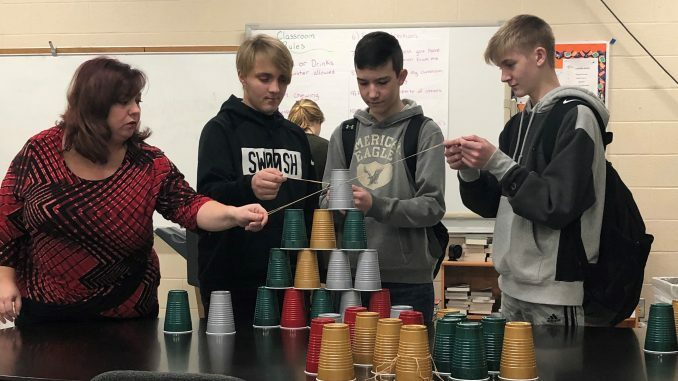 Once students can have a positive growth mindset their boundaries are endless!